"Always make sure you're trying for things you're pretty sure you can't get, and doing things you're pretty sure you won't be able to do." Exploring the personal and the idiosyncratic aspects of music-making, Brooklyn composer Lainie Fefferman's most recent commissions have been from Hotel Elefant, ETHEL, Kathleen Supové, TILT Brass, James Moore, Eleonore Oppenheim, and Dither. Her recent evening length piece Here I Am for Newspeak and Va Vocals, the culmination of her residency at Roulette through the Jerome Foundation for the 2013/2014 season, described as "[an] immersive and moving evening of utterly new sounds," was warmly received by a sold out audience. She enjoyed residencies at LABA and HERE Arts for the 2015/2016 season. Innocent Men starts at 1:38. Movement 6 from "Here I Am" - an evening-length rock oratorio for Va Vocals and Newspeak. Va Vocals: Martha Cluver, Mellissa Hughes, and Caroline Shaw. Live at Princeton University, Taplin Auditorium May 8, 2012. Barnacles starts at 11:08. A portrait piece of Kathleen Supové - and part of her Digital Debussy project for piano and pre-recorded electronics. The Pirate's Daughter starts at 15:02. Performed by ETHEL string quartet. Lot's Daughters starts at 25:21. Movement 1 from "Here I Am" - an evening length work for Newspeak and Va Vocals. Soprano in this movement: Mellissa Hughes. Live at Princeton University, Taplin Auditorium May 8, 2012. Here I Am, performed live at Princeton University, Taplin Auditorium, May 8, 2012. Performed by Va Vocals and Newspeak. 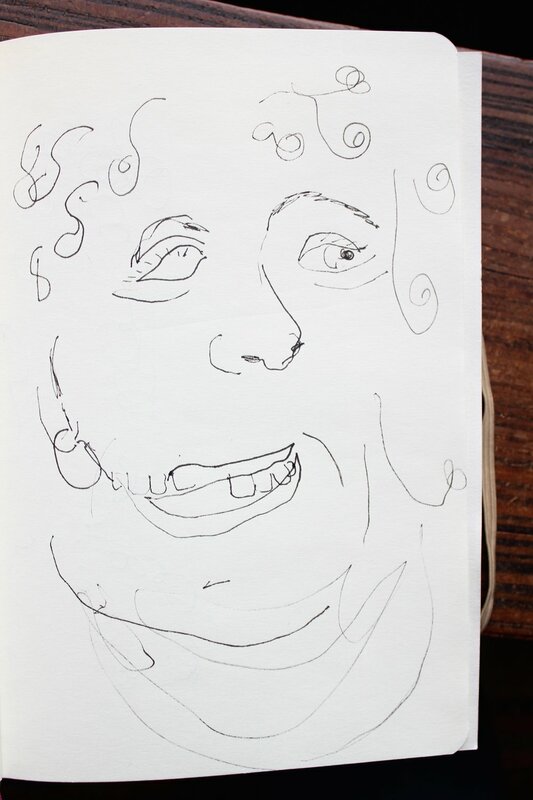 On the day of their interview, Elisabeth did some blind contour drawings of Lainie (made without looking at the page) - because why on earth not?